It is that time of year when we reflect on the past year and create a list of New Year’s resolutions. The most popular resolutions are typically, weight loss, save money, spend more time with family, but how often to we include a list for our home? Here are 3 easy New Year’s resolutions for your home. 1.) Safety Check: The New Year is the perfect time to do a safety check around your house to make sure there aren’t any hazards that could harm you or your guests. That includes making long overdue repairs, checking your house for leaks, carbon monoxide, and replacing the batteries in your smoke detectors. 2.) Store More: We’ve all heard the term “a place for everything and everything in its place.” The same simple principle we tell our children in regard to putting their toys away should also apply to us adults as well! There are literally hundreds of creative storage options from behind the door hangers to under the bed storage bins to vertical shelving corner niches. Thinking outside the box and repurposing one storage item to serve the needs of another is a life saver. Over the door shoe organizers can do more than hold shoes. They make handy holders for everything from jewelry and makeup and more in a bathroom. 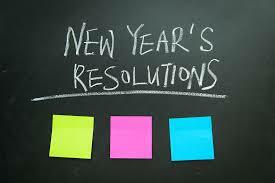 Regardless of what your resolutions are for the New Year, don’t forget to include your home in your planning process. And if buying or selling a home in 2019 is on your list, give me a call today! In what has become a holiday tradition, Hobby Lobby is once again partnering with the Salvation Army’s Red Kettle Campaign. Bell ringers are greeting customers at Hobby Lobby locations across the nation through Christmas Eve. During the holidays, 3.3 million people rely on the Salvation Army to provide their families with a warm meal or toys for children. Also, donations to the red kettles help the Army provide more than 10 million nights of shelter, nearly 57 million meals, substance abuse recovery programs, after-school programs and emergency shelter for needy children and families year-round. Please join The Voss Team on Wednesday, November 28th at the Hobby Lobby at 4643 E Cactus Rd, Phoenix, AZ from 11am-1pm with Nancy Bengoechea from Old Republic Title. We will be ringing the bell for real estate. This will be our fifth year raising money together for the Salvation Army! The Salvation Army, established in London in 1865, has supported those in need, without discrimination, for more than 130 years in the United States. 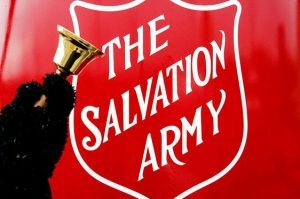 Approximately 30 million Americans receive assistance from the Salvation Army each year through a range of social services: food for the hungry, relief for disaster victims, assistance for the disabled, outreach to the elderly and ill, clothing and shelter to the homeless, and opportunities for underprivileged children. Learn more about the Salvation Army at salvationarmyusa.org. If you’d like more information about this event or if you’re looking to buy or sell a home in Phoenix, please contact the Voss Team today. And thank you for helping support those in need this holiday season! Many residents of the state of Arizona came to the area as a result of the military or a convention or relatives. So they get the great idea to join our community and enjoy our lifestyle. But rarely do our newcomers think ahead to what it will be like for their dog! 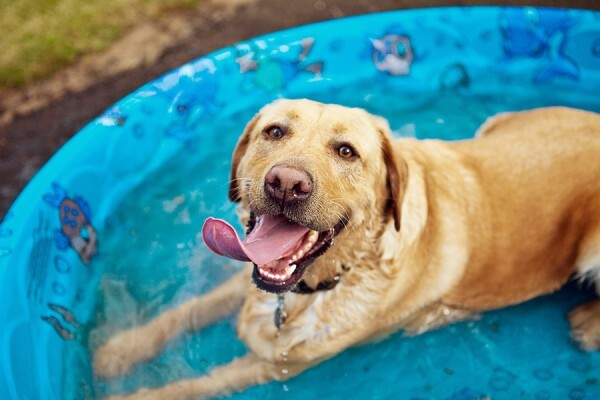 Our canine companions have the common need of shelter, but they also have special concerns their humans should also think about such as recreation and how the desert and it’s temperature can affect your four-legged friends. Yes, it is hot in Arizona. We’ve mastered temperatures as high as 125 degrees! As a result, dog owners must be aware and take into consideration the extreme temperatures on canine paws. New homeowners and residents to Arizona should consider where the dog parks are located, what is the terrain of the backyard, where your pup will spend most of the time, and what is it like getting your pup in and out of the car to go to his favorite restaurant or to the veterinarian. Protect their paws: Owners with active dogs in Phoenix routinely place boots on their dog paws so the pups can join them hiking or out to dinner at a pet friendly restaurant. The boots serve as a protective barrier against the heat of the desert or asphalt as well as any vegetation needles or dangerous bugs. Before you take your pet out on a walk on a hot day-and by hot I mean greater than 80 degrees-step outside in your own bare feet or place your hand on the cement or asphalt and see if you can hold it there for five to ten seconds. The typical rule of thumb is: if you can stand it so can your dog. Don’t be a tough guy on this one, if it’s hot, it’s hot! Keep pups hydrated: Water is also a key component to our lifestyle. Our canine partners must have plenty of clean, fresh water all day and all night. Naturally, when they are active outside exercising and playing, they will need more water to offset the heat. But your pups must have an extraordinary quantity of water available to them at all times. If you are out and about, be sure to take a couple of extra water bottles and a flexible bowl with you so that you are not searching for water when your dog needs it. We suggest freezing your water bottles so that by the time you need them they have melted and are still cool for consumption. Carry a flashlight: Believe it or not, many of us play with our dogs well after sundown and even close to the midnight hour. It’s at these times that the glaring sun has gone away and allows us to play at dog parks or go for walks with less concern for heat exhaustion. Be sure to carry a flashlight so you can see obstructions on your walk. Also, be aware of nocturnal critters that roam the streets in the evening hours. It’s important as the human to protect your canine from coyotes or javelina that may be out on the hunt during your walk. Don’t leave pets in hot cars: Remember, you cannot leave your pets in the car; not even for a moment. Arizona has enacted laws which allow other citizens to break into your car to rescue a trapped animal. So think before you leave them. Here’s the bottom line; it’s hot year-round in Arizona. We love our pets and the pets of others. So, we pay close attention to their needs. If you have more questions about adjusting to proper pet care in Phoenix or if you’re looking for the perfect Phoenix home for you and your four-legged friend(s) please contact The Voss Team today! 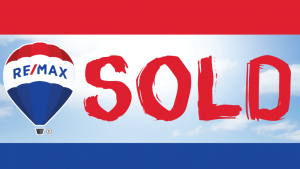 My Home Sold in FIVE Days! Every thirty seconds a RE/MAX agent helps someone find their perfect place. True to the claim, The Voss Team has been proudly serving the Valley since 2001. We are passionate about helping our buyers find that “perfect” property or special investment opportunity. In addition, we are proud to offer state of the art marketing methods to assure our sellers achieve the highest price for their property by gaining the maximum market exposure. 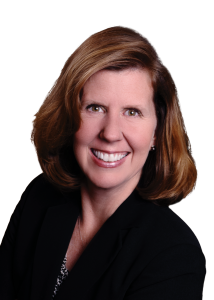 “Roberta is a stellar, top-quality, knowledgeable professional! She knows exactly how to professionally market your home! My home sold in FIVE days! She had excellent information about negotiations back and forth and the experience was quick, fun and with online options – it was WAY EASY! Loved the experience with Roberta! She’s a 10-star agent! Highly recommend her for ANY of your needs – she is well-connected and can help in a myriad of ways.” – Betsy G.
Whether you’re ready to quickly sell your Phoenix home or buy a home in Phoenix or the surrounding areas, the Voss Team is here to guide you through every step of the process. Contact us today for a knowledgeable and unforgettable real estate experience! Author Roberta VossPosted on July 18, 2018 August 1, 2018 Tags Arizona, buy a home in Phoenix, real estate, real estate agent, Roberta Voss, sell yeah, sell your Phoenix home, testimonial, The Voss TeamLeave a comment on My Home Sold in FIVE Days! Every thirty seconds a RE/MAX agent helps someone find their perfect place. True to the claim, The Voss Team has been proudly serving the Valley since 2001. The Voss Team is passionate about helping our buyers find that “perfect” property or special investment opportunity. In addition, we are proud to offer state of the art marketing methods to assure our sellers achieve the highest price for their property by gaining the maximum market exposure. “Roberta Voss is one of the most stellar human beings on this Earth. She has the utmost integrity, thoughtful resourcefulness and a strong, passionate drive above anyone I’ve ever known. she is straightforward and diligent in all her endeavors and has a bright magnetic personality that engages those around her for good. 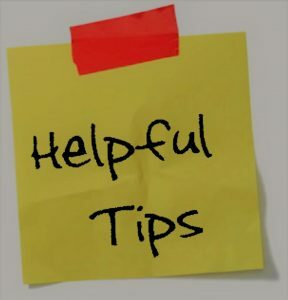 I highly recommend her always and in all ways.” – Besty M.G. 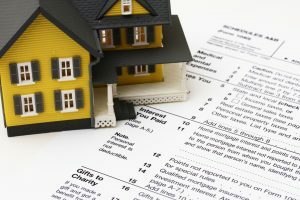 Whether you’re ready to sell your Phoenix home or buy a home in Phoenix or the surrounding areas, the Voss Team is here to guide you through every step of the process. Contact us today for a knowledgeable and unforgettable real estate experience! 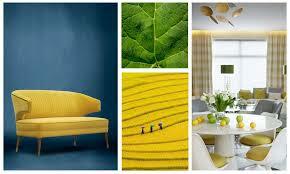 Planning on repainting your home or adding new accents, but unsure what hues are in season for spring and summer? 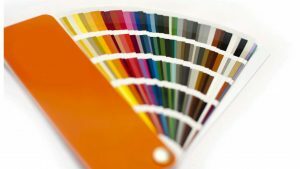 Here are the top 10 paint colors that are trending right now according to various fashion designers, design bloggers, DIYers, and magazines all using these colors in their latest projects. 7.) Milk White (as seen used by designers such as Zadig&Voltaire, Miu Miu, and Roland Mouret). If you’ve always wanted an accent wall or have an old piece of furniture you’ve been meaning to paint, these top 10 paint colors that are trending right now may be all the inspiration you need to finally tackle that project. Which of these hues motivate you to pick up a paintbrush? 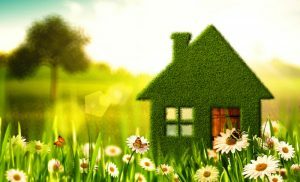 For more design tips for your home or if you’re ready to buy a home in Phoenix or sell your Phoenix home this spring, please contact The Voss Team today!